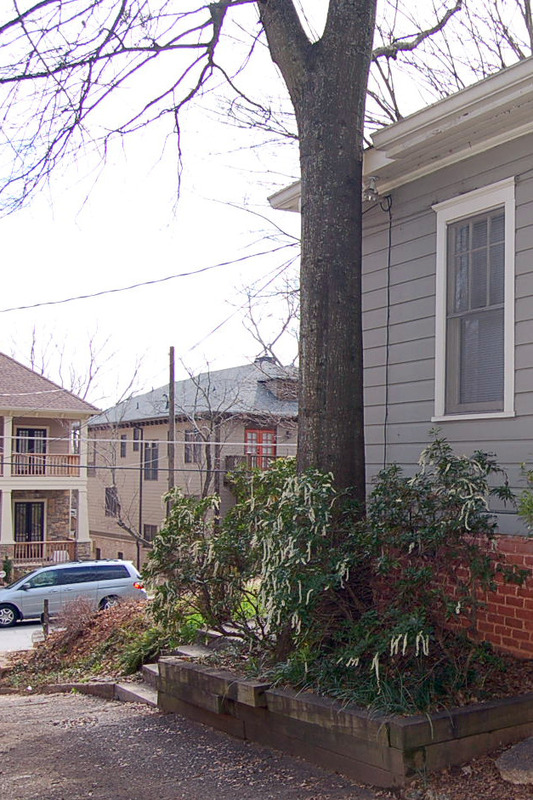 A tree within 5 feet of the foundation of a single-family residence or a duplex is usually approved for a permit as a “DDDH” tree if it meets several additional criteria. [Sec. 158-101(i)(1-12)] However, keep in mind that a tree near a house is not necessarily a threat to the home. The gutter or edge of the roofline can be notched to accomodate an expanding trunk as shown in this photo. However, a tree of this species should have never been planted this close to the house and will probably have to be removed when the tree begins to expand into the house itself. But, by notching the gutter, the owners of this home can perhaps enjoy the shade this tree provides for another decade or more.